We are a company with our own brand Ironmongery, Selling fantastic quality door handles and accessories. 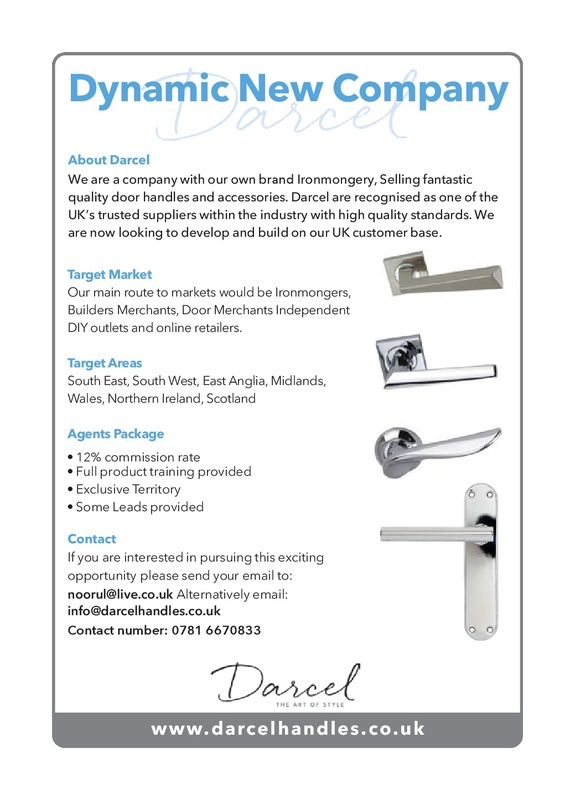 Darcel are recognised as one of the UK’s trusted suppliers within the industry with high quality standards. We are now looking to develop and build on our UK customer base. Our main route to markets would be Ironmongers, Builders Merchants, Door Merchants Independent DIY outlets and online retailers.